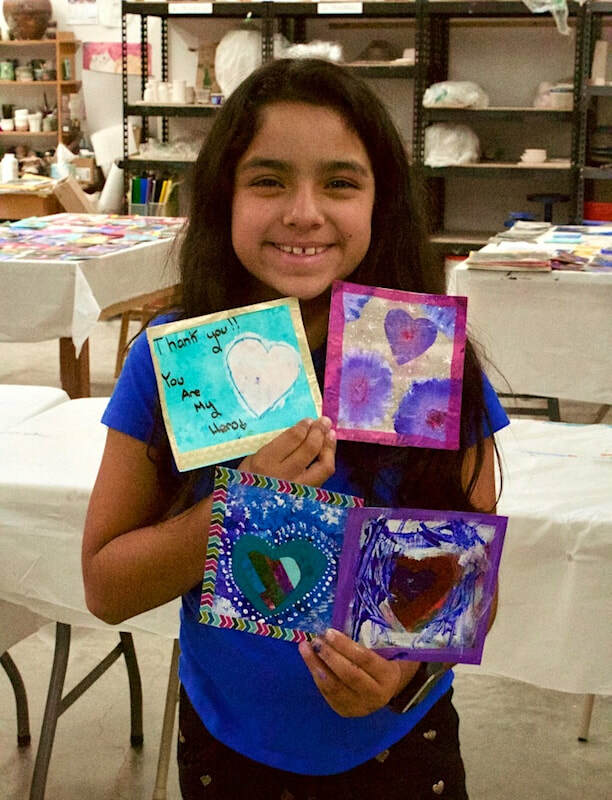 Come join us for the Grateful Hearts Project Art Show! 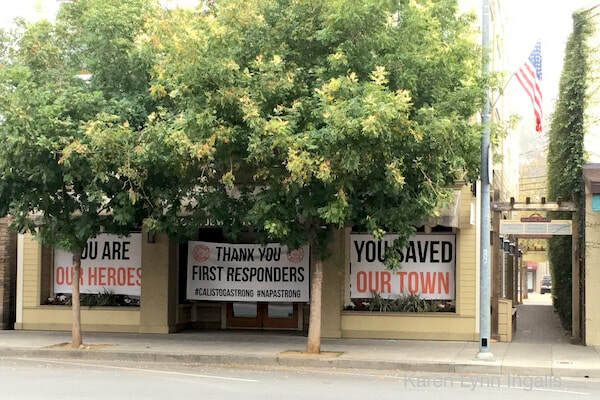 See paintings created to honor, and present to, First Responders, organizations, and individuals who helped us during and after the Tubbs Wildfire in October of 2017. Sign special handmade cards thanking Mutual Aid First Responders who sent firefighters and a truck from all over the country to help us. Listen to live music with the acoustic trio Joyride. See presentations of paintings to some of the local people, including members of the Calistoga Fire Department and Calistoga Police, who did so much to protect our town. Why are we doing The Grateful Hearts Project? On October 8, 2017, the Tubbs Wildfire tore across the land just north of Calistoga, spreading up Mt. St. Helena, and racing through Franz Valley, Porter Creek, Alpine Valley, and into Knights Valley on its devastating path towards Santa Rosa. 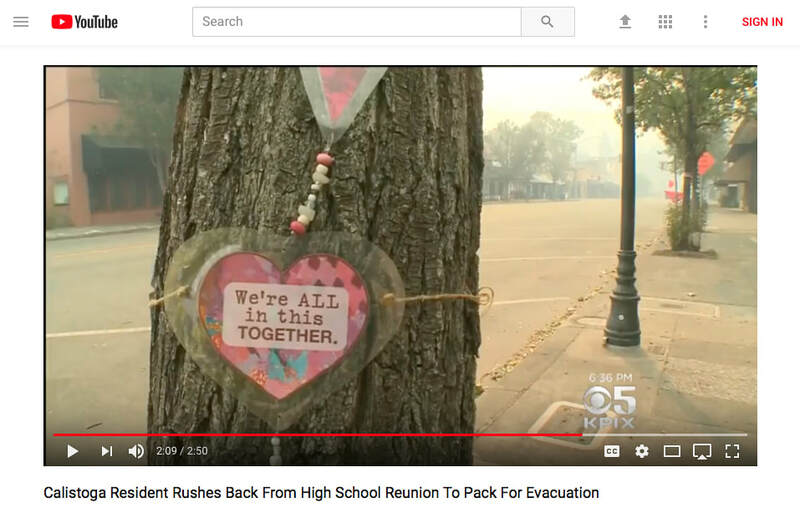 Screenshot from KPIX news report of Calistoga's evacuation, showing one of the Heart Art pieces on trees on Lincoln Avenue, Calistoga's main street. 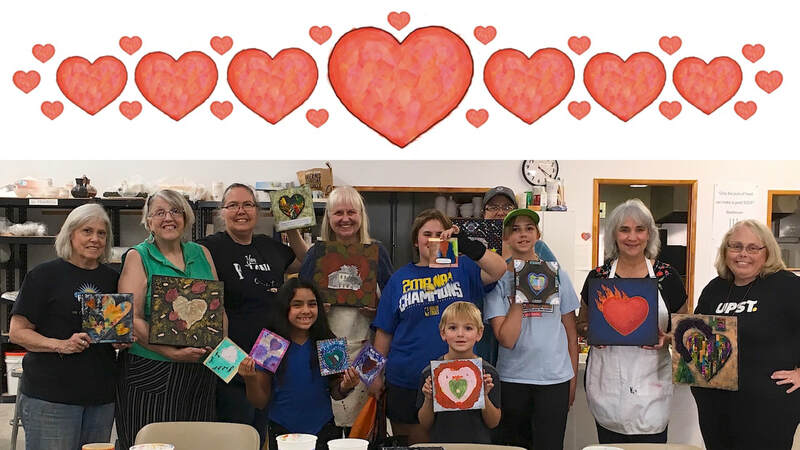 It was created as part of Hearts Across the Valley, by artist Karen Lynn Ingalls and a whole host of community members and volunteers.. 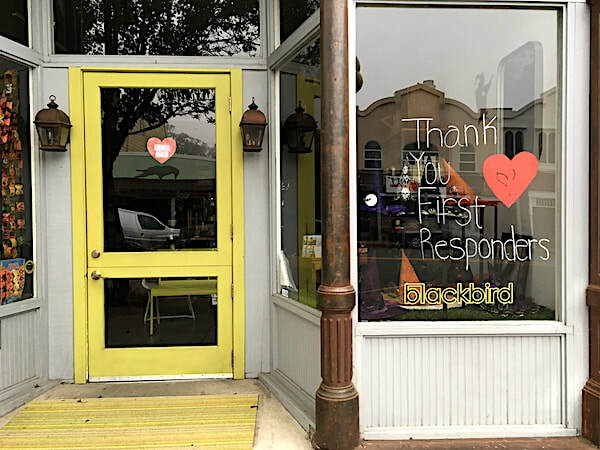 Heroes rallied to our defense — first responders, organizations, communities, volunteers, and elected representatives, who fought the fires, protected Calistoga, welcomed and cared for our evacuees, and then came to our aid in its aftermath. Many of them put their lives on the line to save us and our town — and their efforts and caring mattered so much! We all experienced such heartfelt warmth, love, kindness, and compassion — it was truly moving. Signs at Calistoga's Masonic Building, on Lincoln Avenue. 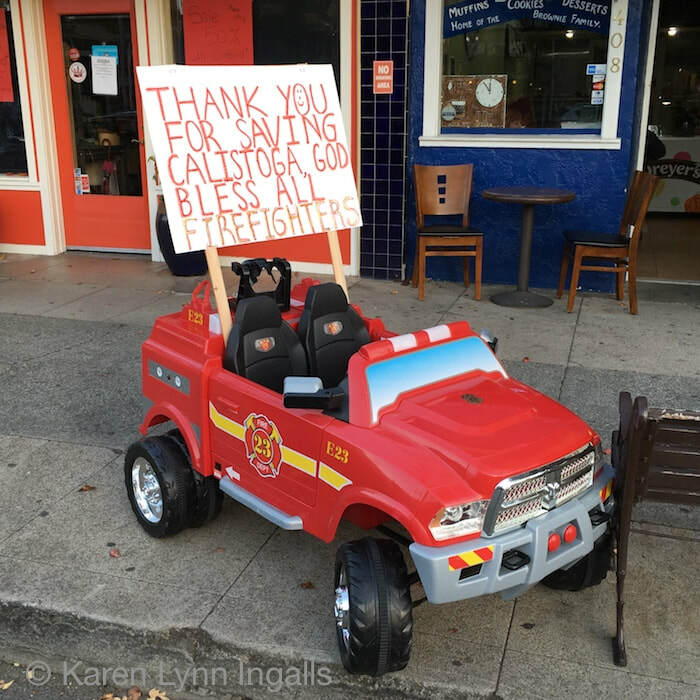 Back home again, townspeople spontaneously put up signs and homemade art installations (one with a child-sized firetruck) expressing our thanks to our rescuers. But those protectors who had already gone home never got to see our expressions of appreciation. They put their lives on the line for us, and we would like them to know how grateful we are. This is our opportunity to honor them, and memorialize just how much we appreciate what they did for us. 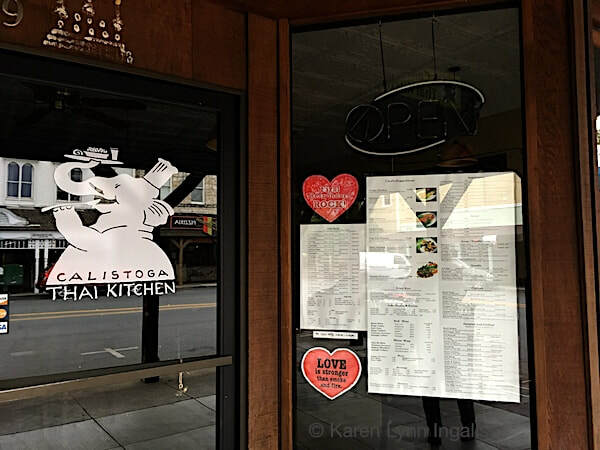 So, to the many people and organizations who helped protect Calistoga and Calistogans from fire in 2017, and who helped us get back on our feet — thank you! 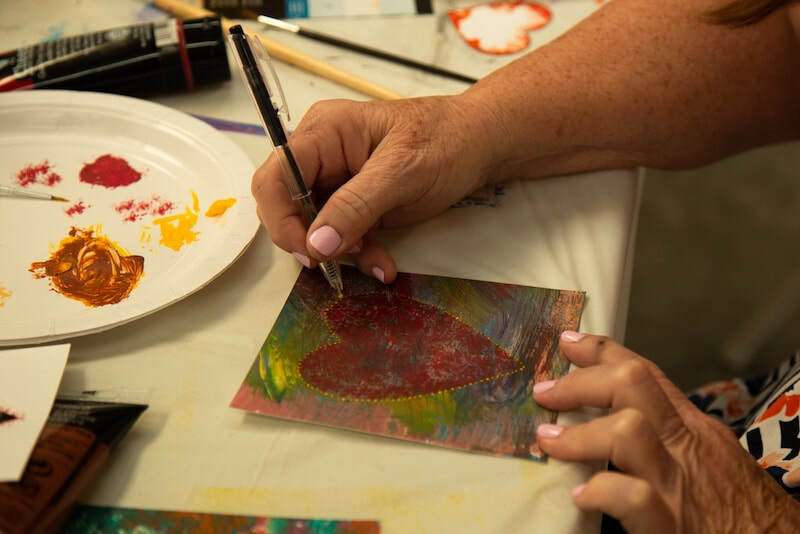 We're creating paintings to thank them, and to recognize their heroism, their expertise, their kindness and caring, and all the hard work they did to protect Calistoga, and to help us afterwards. Later, we will have a show of all the paintings at the Calistoga Art Center, 1435 North Oak Street, on the grounds of the Napa County Fairgrounds in Calistoga. Then, over the winter months, we will make official presentations to each of the people and organizations who did so much for us. 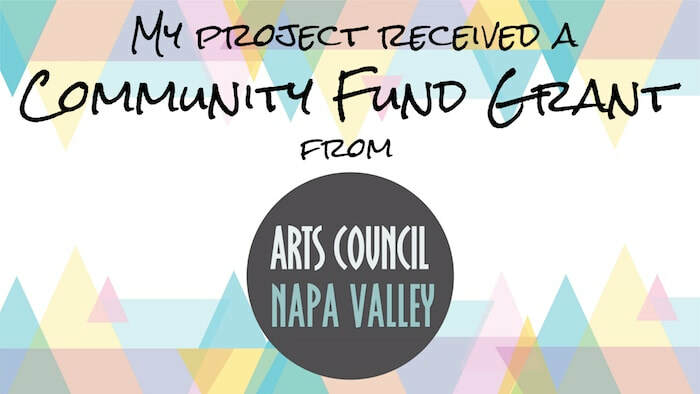 Big thanks to Arts Council Napa Valley for their funding in support of this project; to the Britt George Foundation for their grant to support artist Karen Lynn Ingalls after the loss of her art studio in the fire, some of which is also supporting this project; and to the Calistoga Art Center, where we will gather to create these paintings! 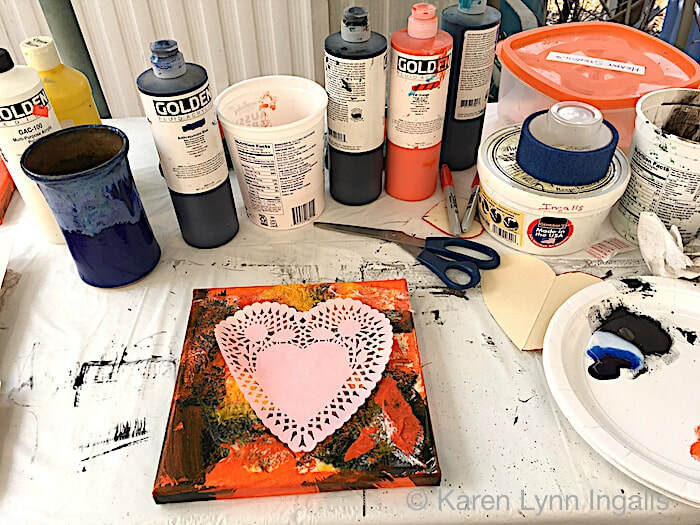 Hearts Across the Valley is a community-based public art project in Napa Valley, California, intended to spread love, kindness, and compassion through the power of art, and created by artist and art teacher Karen Lynn Ingalls. 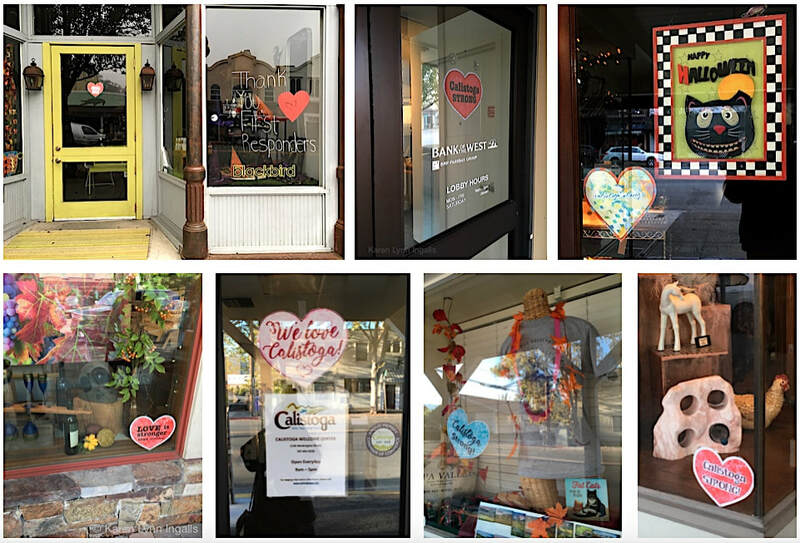 Installations of Heart Art on trees, from March 30 through October 31, 2017, on Lincoln Avenue in downtown Calistoga. 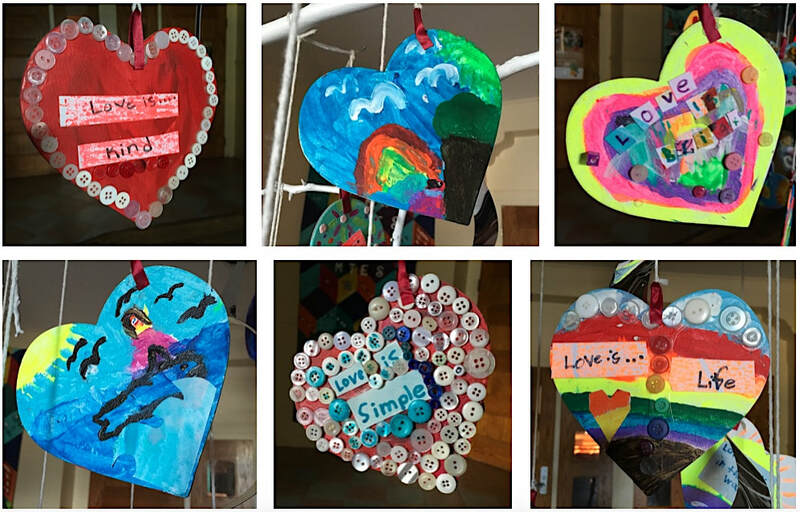 Some of the individual hearts on trees, some with inspirational quotation about love, kindness, and compassion, and some saying "We Love You" in many languages. 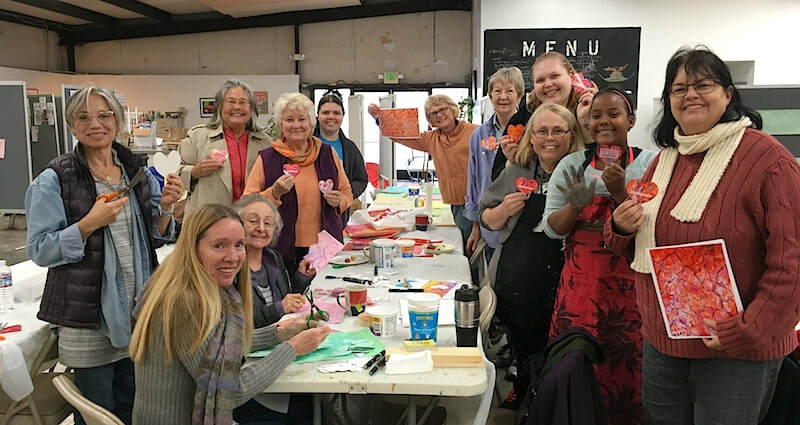 Heart Makers at the Calistoga Art Center's Make-a-Heart Day, January 5, 2017. Blossom Heart Garlands, A Garden of Hearts, and Big Hearts in Many Languages. 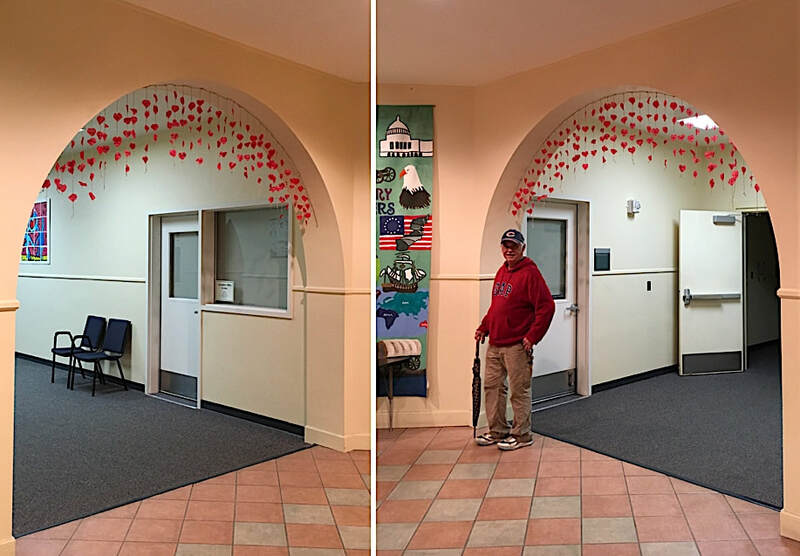 Blossom Heart Garlands, in three arches at the main entrance to St. Helena Elementary School. 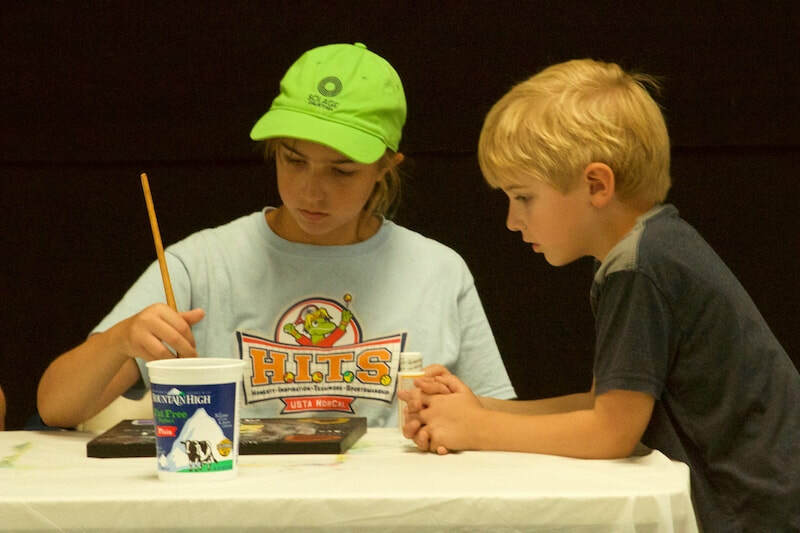 Blossoms contain the signatures of students, faculty, staff, and artist Karen Lynn Ingalls. 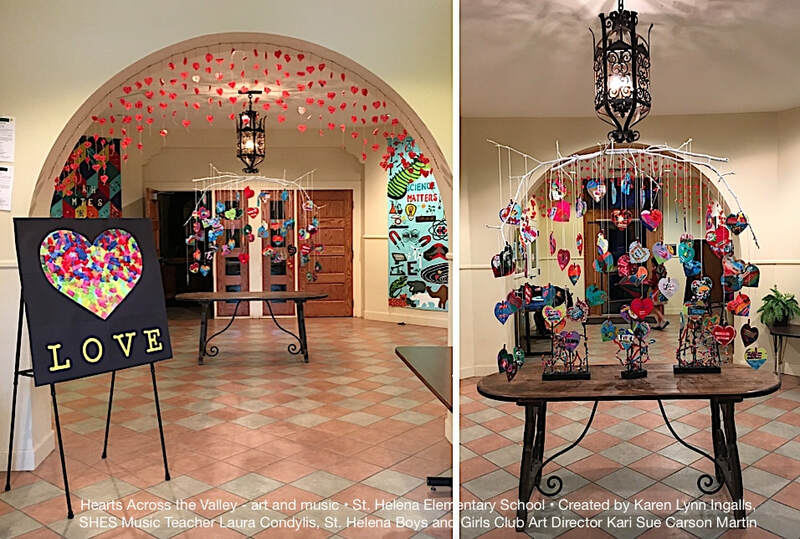 A Garden of Hearts • art installation created by students of St. Helena Elementary School, at St. Helena Boys and Girls Club, with Kari Martin, Boys and Girls Club Art Director. A Garden of Hearts • details of art installation at St. Helena Elementary School, 2017-2018 • created by students of St. Helena Elementary School and St. Helena Boys and Girls Club, with Kari Martin, Boys and Girls Club Art Director. 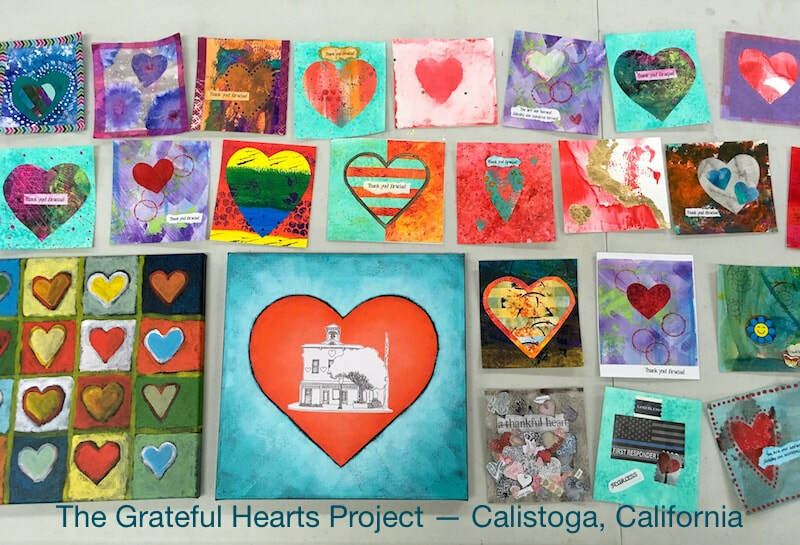 Individual, one-of-a-kind Heart Art distributed for free to local businesses in downtown Calistoga who wanted to display them. 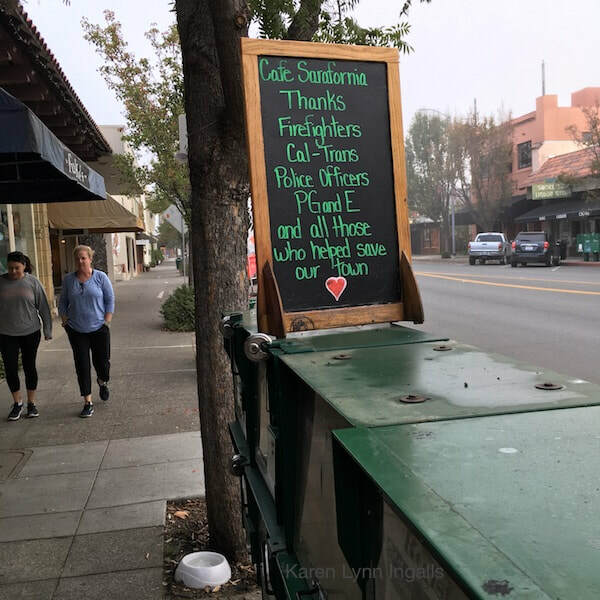 A few of the Grateful Hearts, created by Karen Lynn Ingalls, given to businesses in downtown Calistoga after the Tubbs Wildfire. 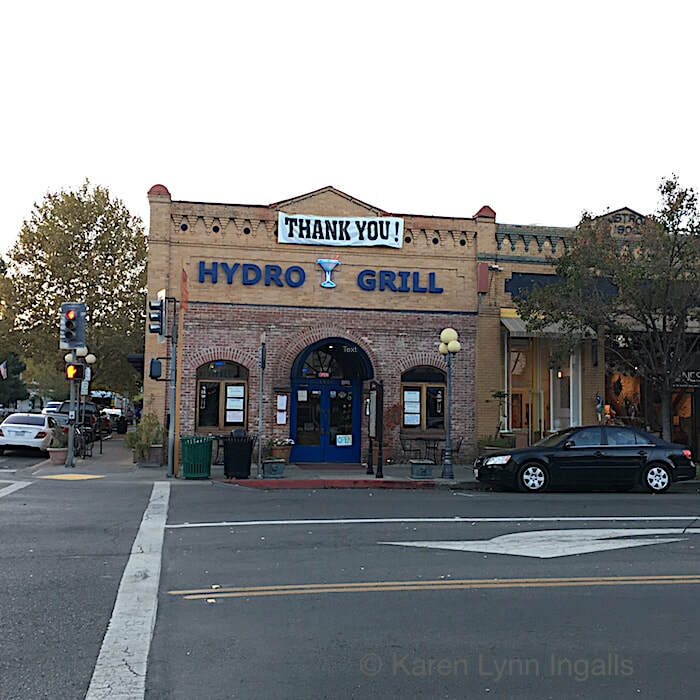 A few more of the Grateful Hearts, created by Karen Lynn Ingalls, given to businesses in downtown Calistoga after the Tubbs Wildfire. Hearts Across the Valley began in response to the divisiveness, anger, hate speech, and violence I saw far too much of in the daily news. I feel lucky to live in a town where kindness is valued and practiced, but even here we are not insulated. And what do you do? Fighting hatred and anger with hatred and anger only creates more hatred, anger, and division. We all need more kindness, more compassion, more love. I wanted to spread love as far as I could, because we are so in need of it. I thought about what I could do, as a visual artist, to make things better, and about the power of a visual image to inspire, to gladden, to lift people's spirits, to touch their hearts. And I thought of the symbol of a heart. Hearts, as a symbol, go back ten thousand years, to ice-age cave art. For us, now, they evoke love, kindness, caring, and compassion, all across the world. What if people were driving down the highway, commuting to work, and they saw a series of hearts — visual reminders of love — lining the tops of fenceposts at the edge of vineyards? Would it make them smile? 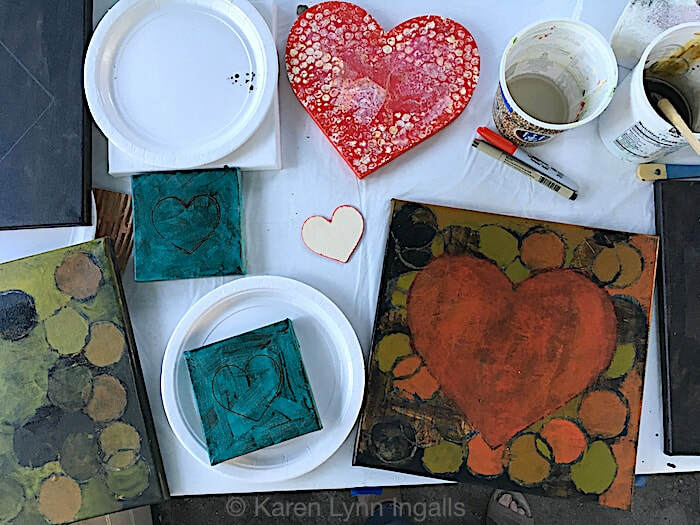 What if people walked down the street downtown, and found hearts — beautiful ones, ones with thoughtful and inspirational quotations, and even homemade ones with messages of love from children and townspeople? What if some of those hearts said "We love you" in both English and Spanish, or any of the 101 other languages Google can translate into? Would people stop to look a little closer? Would they read the messages? Would it make them feel happy? What if visitors stop at one of the Napa Valley signs to take pictures, and they find not only the big sign, but lots and lots of hearts all around it? Would it bring them joy? And might they even carry that joy back home with them? Just as a smile shared tends to spread, so might love and kindness. If you see a heart, and it makes you smile and lightens your day, that's a good thing. If it lets you know someone cares about you, that's a good thing. And if, in turn, you feel more caring and happy, then you may be more likely to share caring and happiness and lovingkindness. 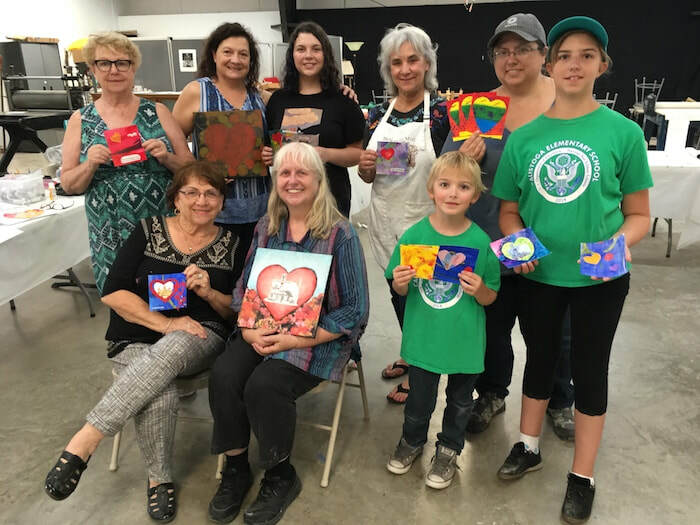 That is the aim of this project — to share love and kindness, through the power of art, and to spread it across Napa Valley and beyond. 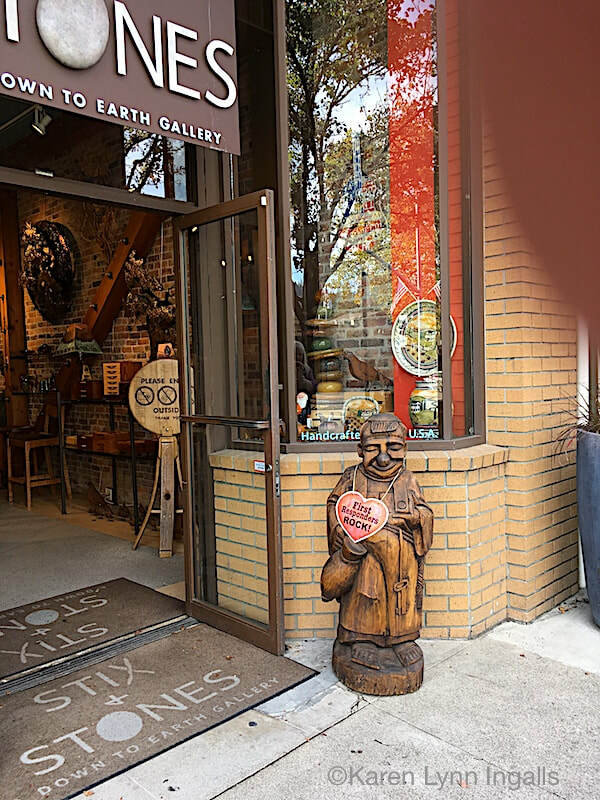 Hearts Across the Valley began in 2017, and will continue as a series of as many art installations across Napa Valley as possible. 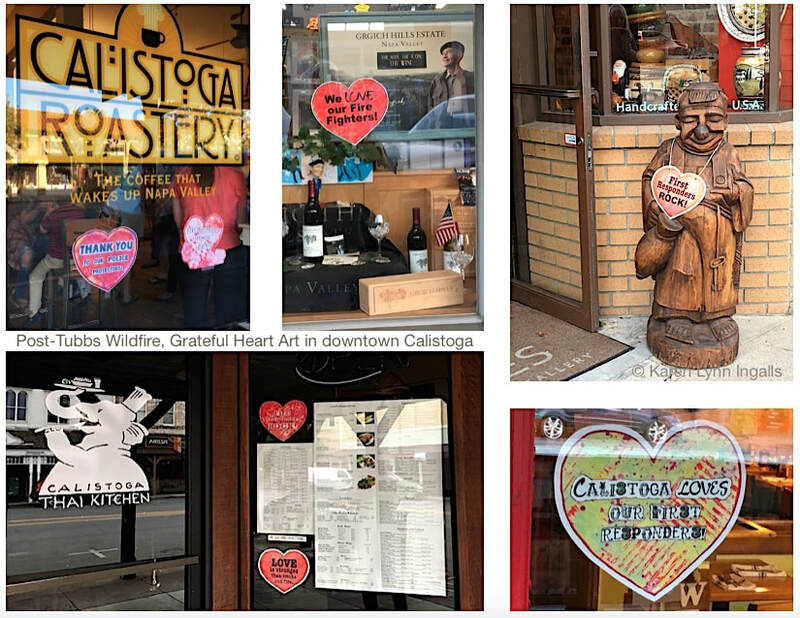 Each will incorporate heart symbols in various forms — whether atop fenceposts along the highway, hanging on downtown trees, surrounding and perhaps suspended from the Napa Valley signs, on Calistoga City Hall, at local schools, at local landmarks — wherever people will see them and feel a little more love. Because, after all, a little more love is a good thing.